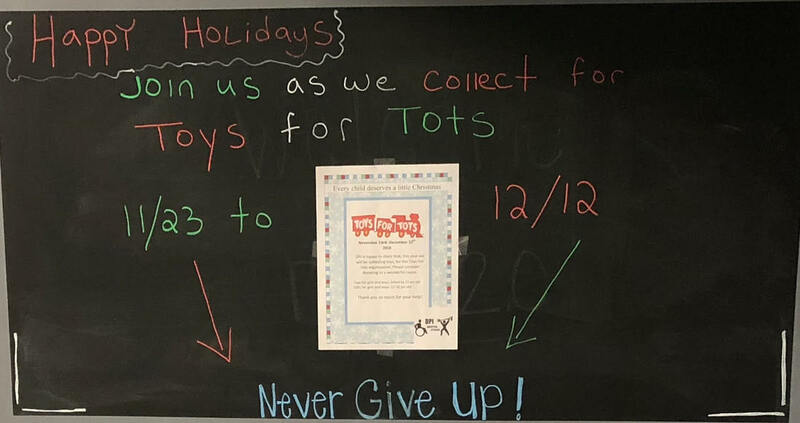 We are collecting for Toys 4 Tots 11/23-12/12...Bring a toy to our drop off location in the DPI Adaptive Fitness Gym. Check out this article for Wheel Life highlighting our Member Joanna. 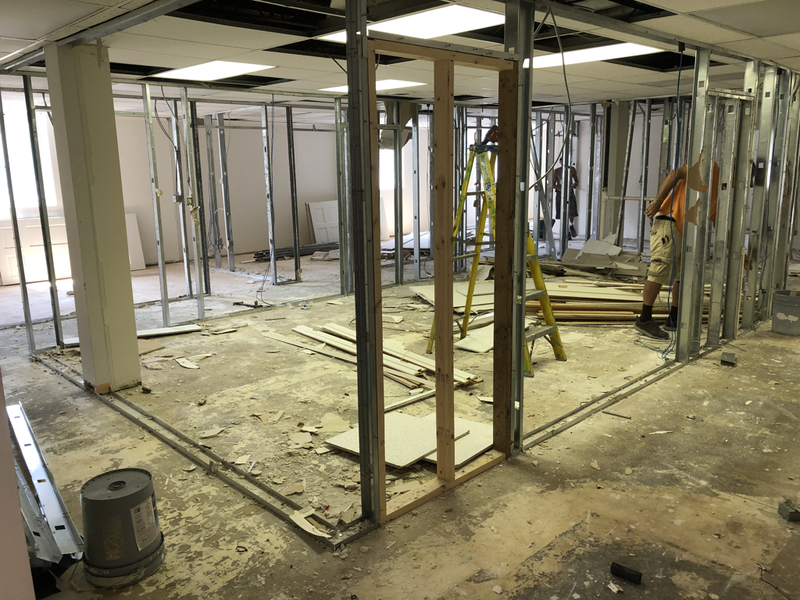 DPI Adaptive Fitness 2.0 Grand Reopening celebration! All proceeds go towards making your adaptive gym the best, safest, adaptive fitness gym for you to be able to knock out goals like Mike Tyson! ​Check out this great article written by one of our longtime DPI Adaptive Fitness clients on his journey into and successes from Adaptive Fitness! 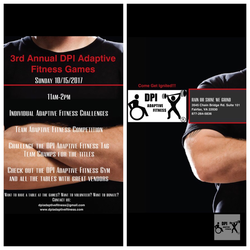 The 3rd annual DPI Adaptive Fitness games are 1 week away!!! Join us for fun adaptive fitness challenges for prizes, meet great vendors, and meet some great adaptive fitness trainers and other adaptive fitness gym participants. It's going down 10/15/17 from 11-2pm, we hope to see you there! THANK YOU to everyone who came out to the No Limits Adaptive Fitness Potluck on 6/24/17. we had a great turnout to celebrate the 4th year of our Adaptive Fitness programming with Medstar NRH. A dream that started in 2006 was realized in 2014 with the start of this great program, countless individuals at all ability levels have benefited. 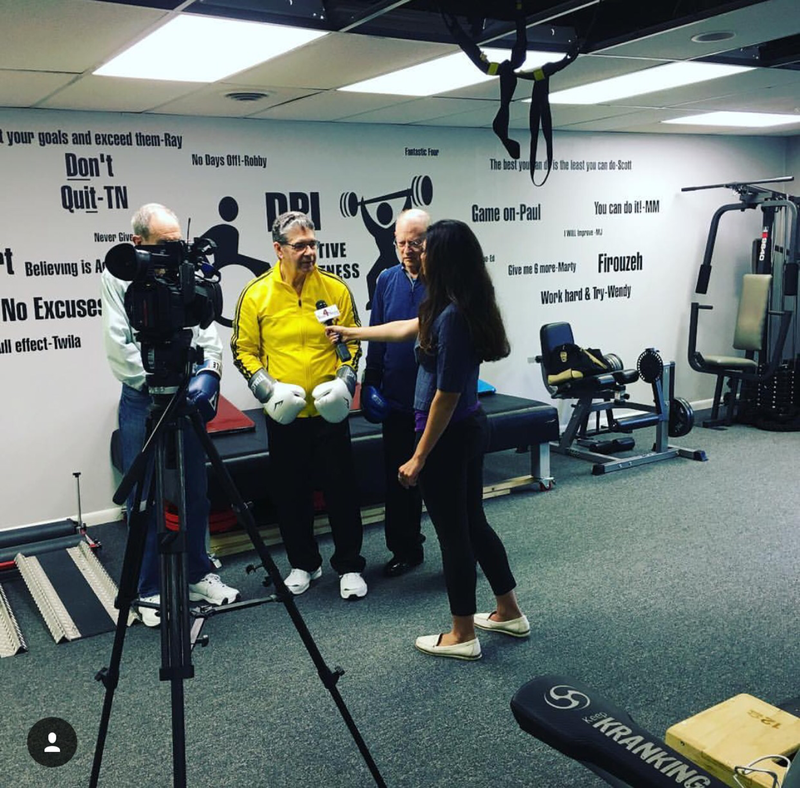 DPI Adaptive Fitness-In the News on WHAG TV!!! Congratulations to the Medstar NRH Capital Punishers Quad Rugby Team!!! The Punishers took 3rd place in this years USQRA National Tournament at the ABILITY 360 fitness center in Phoenix, Arizona. We are so happy and excited for this team and look forward to working with you all next season! DPI Adaptive Fitness in the news! We are so excited to have a recent article about our Medstar Adaptive Fitness classes! 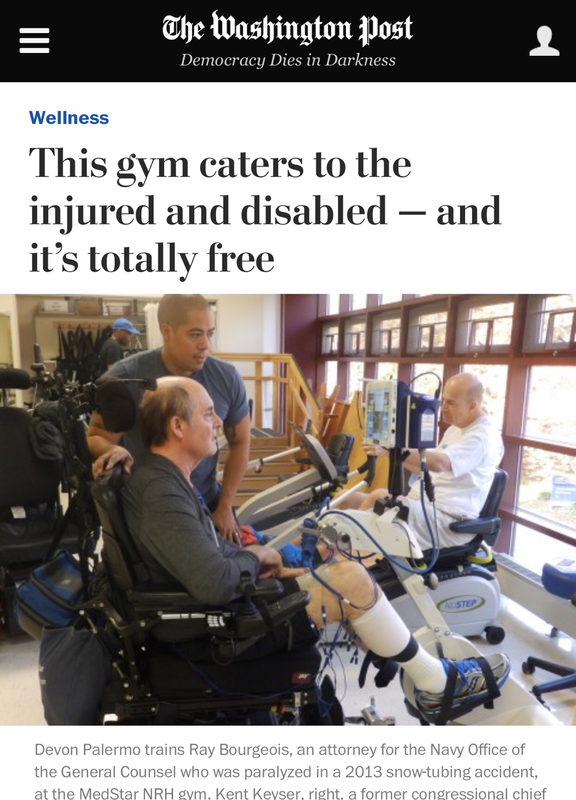 Thanks so much Washington Post for such a great article highlighting us and our adaptive fitness program! Air Force Wounded Warrior Care Fair! DPI Adaptive Fitness will be joining the great list of presenters and exhibitors for both the Air Force Wounded Warrior Care Fair (November 16th) & The Abilities Expo-DC Metro (December 2nd & 3rd) Come check us out and try some adaptive fitness drills. We are happy to announce three new team members to the awesome team of adaptive fitness trainers we have! ​Tina Bellamy has been a dedicated one on one and adaptive fitness gym participant since we met her at a fitness fair over a year ago, she has recently signed on to our support staff and will officially be our information & experience representative. Ask her anything about DPI Adaptive Fitness and she has the answer with a unique perspective from being both a participant in our programming and a staff member behind the scenes. ​Danielle Leshinsky joins the DPI Adaptive Fitness trainer to assist with coverage for our large group programming . Danielle is a physical therapist and a certified strength and conditioning specialist. ​Molly Laing is joining us as trainer support for our adaptive fitness group programming. She has a strong interest in fitness and will soon be working towards adaptive yoga certification. ​Welcome to the team everyone!!! We are thrilled to announce the launch of our new and improved website. 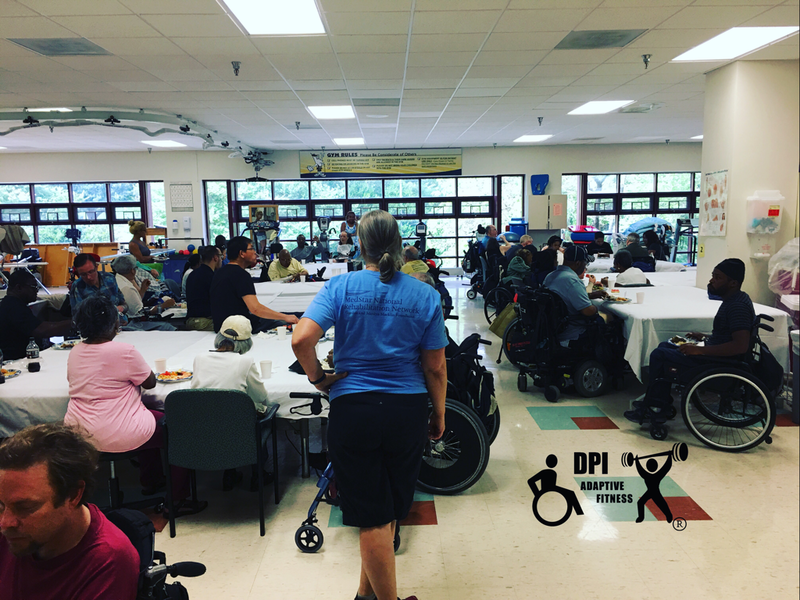 Learn more about DPI Adaptive Fitness, sign up for classes, find pictures of yourself breaking a sweat, and more! Feedback is also always appreciated. Thanks! We are very excited to announce the DPI Adaptive Fitness Training site is now open!!! Please keep an eye out for all of the great group programming that we have in store as well as our big announcement on our Adaptive Fitness open house party! Check out the Never Give Up blog for Adaptive Fitness Articles and general health and fitness information. Link: THE NEVER GIVE UP BLOG!